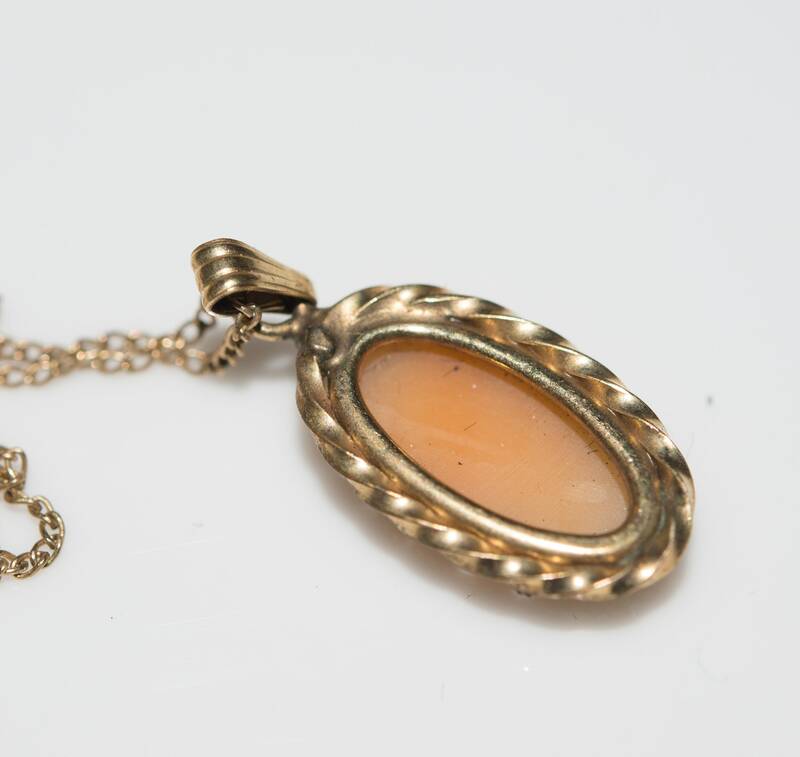 This was likely a childs necklace, the tiny camoe is just 3/4 of an inches long and the very delicate gold filled chain is just 8 inches in drop. 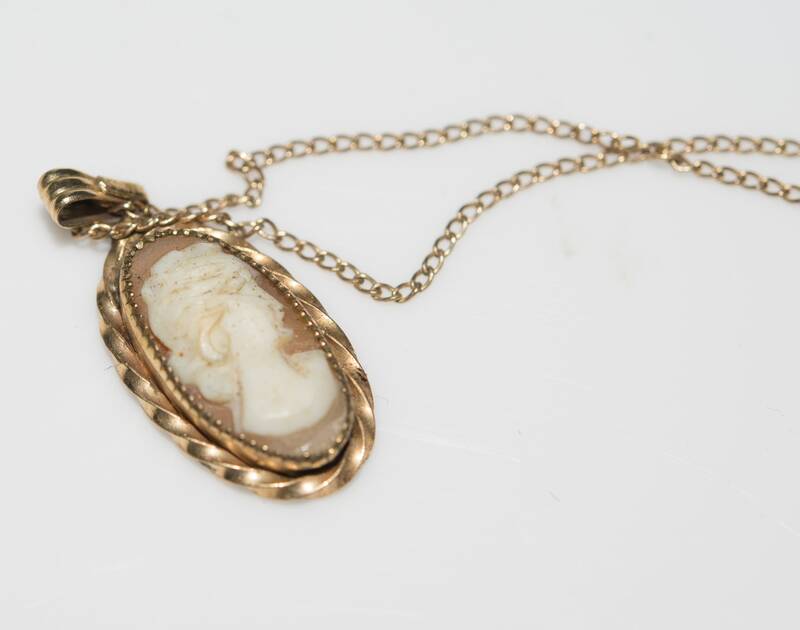 The cameo needs cleaning I did not do so and noticed in pictures how dusty it is! I typically leave items as found and leave it up to the experts. 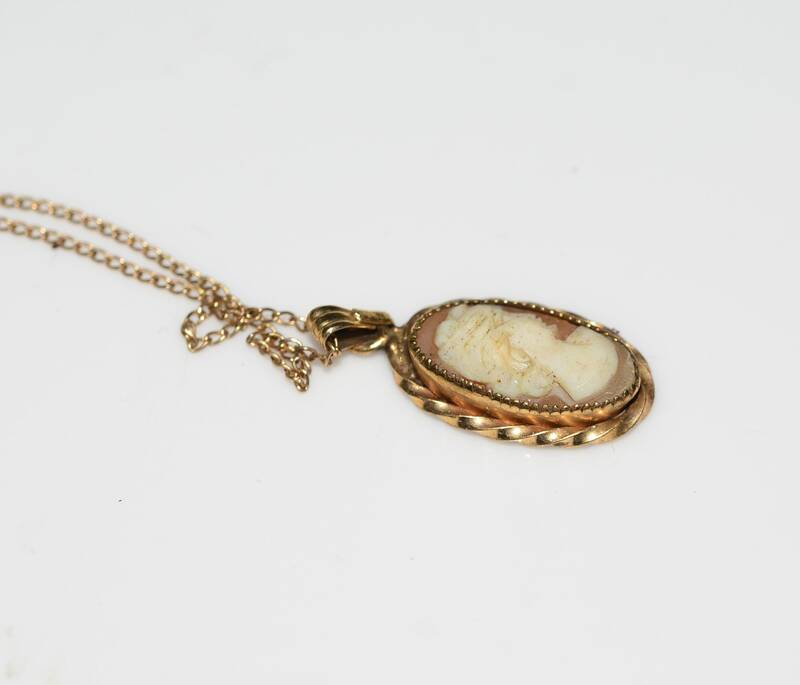 This little piece is just so nicely made it coudl have been a lovely first communion or other occasion that marked a young girl getting her first jewelry. 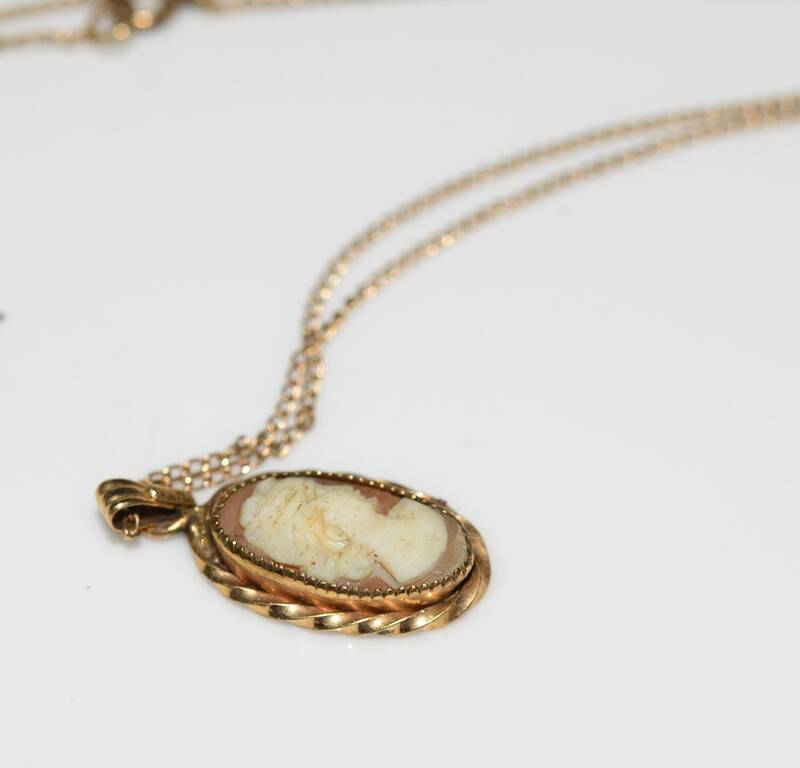 Really a pretty piece. 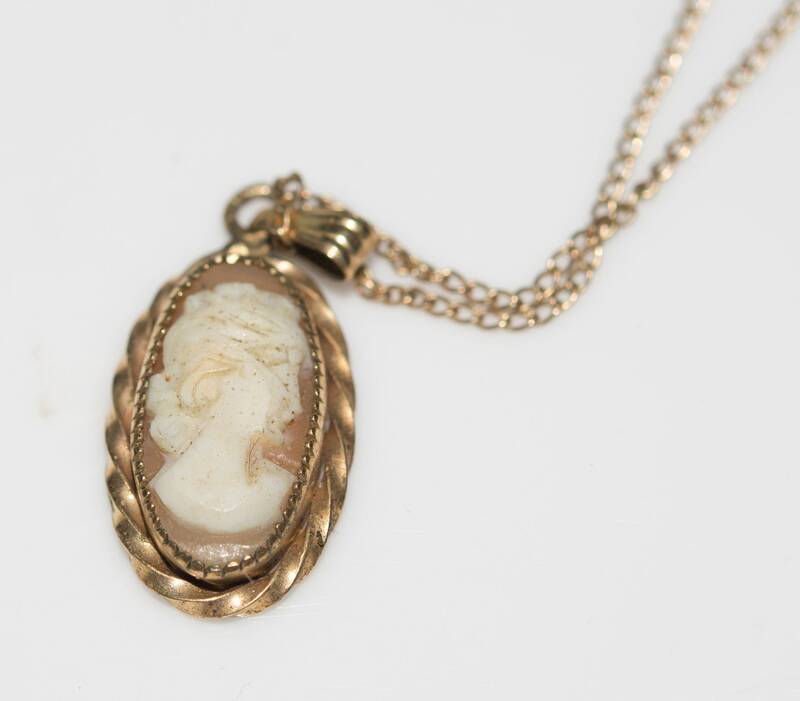 The Cameo does not appear to be shell as it is not particularly see through. 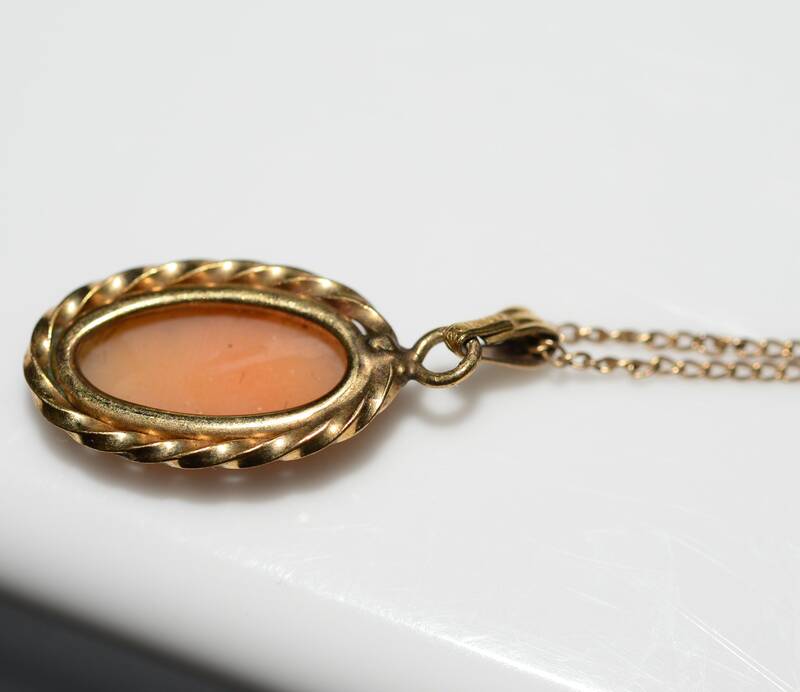 There was a time , 1930-50s where it was common for young women to get really cherish that first piece of jewelry, before the days where accesories were just htat and even the youngest own multiple pairs of eveything.